What better way to start this summer than trying some of this incredible burgers recipes. Besides, in this list, you can find a unique twist to the classic hamburger, incorporating ingredients like pimento, shrimps, sesame oil and serrano chiles. So, turn your backyard into the best burger joint in the neighborhood with these top-rated recipes. In New Mexico, the state vegetable is the chile pepper, where they’re layered atop beef for an iconic dish: the Green Chile Cheeseburger. 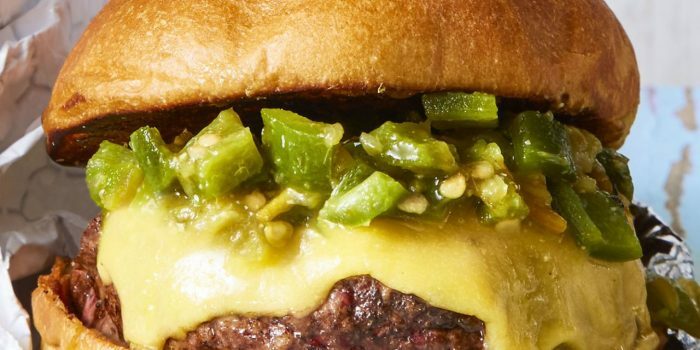 Sometimes topping the Scoville chart, and sometimes mildly spicy, these burgers are defined by a relish of mixed chiles and a handsome dose of melted cheese.